The UK’s emergency services are admired and respected all around the world for how they respond to emergencies and major incidents. The 8 guiding principles they deploy have been developed through the experience of dealing with hundreds of disasters over the last 150 years. They are as relevant to business and organisations, who face modern threats, as they are to the emergencies services. If you apply these principles in the correct way your business will be better organised, structured and practiced to deal with a disruptive event. We will introduce you to the principles of integrated emergency management and work with you to apply them appropriately to your business. The principles focus on anticipating the risks, preparing individuals that have a role to play in response, understanding your situation and then being able to set direction and clarity of purpose. These principles are relevant to every level in any business, and at every stage in a crisis. This will enable the prioritisation and focus of the response and recovery effort. 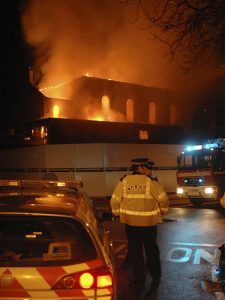 A planned, co-ordinated response during the early stages of an incident is critical. Risk awareness and a clear plan outlining actions and clarifying roles will enable you and your teams to minimise its potential impact should the threat occur. Incident command is a standardised approach to the command, control, and coordination of the response to emergencies. It provides a common structure within which responders from the different organisations can be effective. 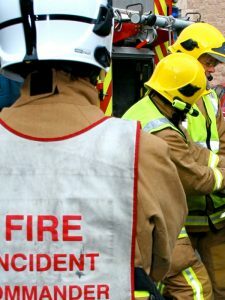 It was developed in the 1970s for emergency services to deal with catastrophic wildfires in California but has now become the internationally recognised as the gold standard for a structured response to a crisis. Incident command structures are highly effective in helping businesses manage the impacts of the disruption that causes the crisis. Our consultancy will help you put in place the plans, people, facilities and processes to mitigate and manage the impacts of a crisis or emergency, protecting your staff, your reputation and your finances. We will help you devise structures and plans that work when you need them most and we will equip your people to operate these plans in a crisis. Terror attacks, as well as cyber-attacks on leading business institutions, highlight how much the risks and threats facing the modern world have changed in recent years, underlining the importance of preparing for the unexpected and, increasingly the unthinkable. 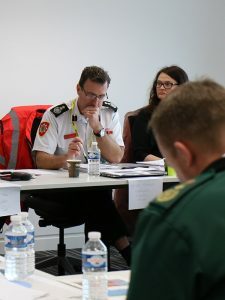 Such crises not only present complex challenges for today’s emergency services, but also for business managers and leaders who find their organisations either in the target line or close proximity to a crisis. During a crisis, business leaders will have to work in challenging and highly pressured situations. Under these pressures, they need to understand the situation as it unfolds, make many and varied decisions about resources and strategies, plan how to deal with the crisis and communicate these plans. Crisis leadership and management involves a number of key skills including situational awareness, decision-making, leadership, communication, understanding the dynamics of the team as well as resilience and pressure management. We will train you to use specific emergency service crisis management tools and techniques. Through the use of a decision making model you will be able to take decisions with the most timely and accurate information is available, allowing a faster and more effective strategic response. Most risks are foreseeable; however the risks posed by civil emergencies such as severe weather, terrorist attack or transport accident are not easily quantifiable. The emergency services has an enviable reputation for risk management. Emergency risk management is a combination of risk information, risk assessments, risk controls, and professional judgement. They use a systematic process of identifying, analysing, assessing, treating and mitigating risk to people, property and the environment. Our constants will utilised robust tried and tested risk management techniques to help you assess the hazards, threats and vulnerabilities to your business. We will help you produce a range of treatment options to minimise the impact or, if possible, eliminate the resulting risk, compliant with ISO31000. We will help you take a strategic look at risk, ensuring your risk planning is focussed, relevant and coherent across the business, making you as resilient as possible. There isn’t a ‘one size fits all’ approach to this, so our consultancy service will be designed to meet your specific context and needs. The emergency services are some of the best prepared organisations in the world. Their response and business continuity plans are second to none. Our consultants have written and developed numerous aide memoires, response plans and guidance documents for all type of emergency situations. We will help you identify those ‘mission critical’ parts of your business that need protected and put in place response and continuity plans to make sure you respond well, continue to operate and recover effectively, despite disruption. We will combine these plans with an integrated approach to emergency management, to ensure you respond appropriately, protect what’s vital and recover quickly, with your reputation intact. 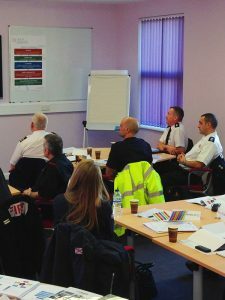 We can also train your people and help embed incident response and business continuity throughout your business with exercises and awareness raising programmes.